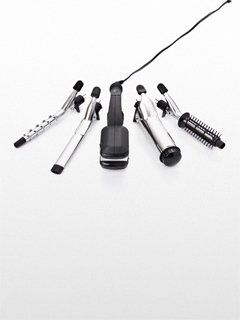 The average lifespan for a curling iron is one to two years. Many small appliances we use in our homes—toasters, hair dryers, irons, vacuum cleaners, fans and countless other devices—have short lifespans when compared to major appliances like refrigerators and washing machines. While many of these smaller consumer products are often encased in plastic, they’re also comprised of metal, which is recyclable and valuable. However, these devices aren’t collected for recycling curbside, and they often aren’t accepted at electronic waste (e-waste) recycling events. If you no longer need a working appliance, consider donating it to a charity for resale. Good bets are the newly-opened Habitat for Humanity ReStore (2930 Jasper St., 215-739-9300, habitatphiladelphia.org/habitat-philadelphia-restore) and mainstays like the Salvation Army or Goodwill. If your appliance is useless, Best Buy offers free recycling for some small appliances. For example, they’ll take a broken vacuum cleaner, but you’re on your own with the toaster. For a full list of what they’ll accept, visit their website (bestbuy.com/recycling). If you’re like me and have a small arsenal of defunct hair dryers on your hands, consider taking them to a scrap metal processor. Sullivan’s Scrap Metals (2710 E. Westmoreland St., 215-426-3852, tmsullivan.com) will accept small appliances, but they’ll ask you to remove the plastic casing. Otherwise, they may not be able to accept all of your spent items.